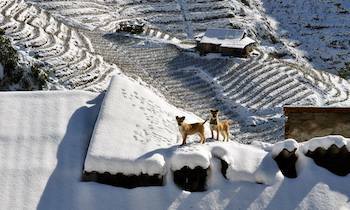 Sapa has been renowned for the picturesque natural landscapes and the diverse local culture of the ethnic tribes. 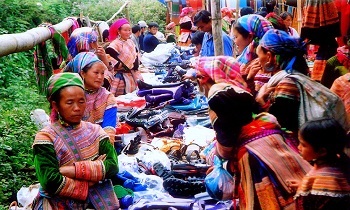 However, few people know that Sapa reputes with religious tourism with the sacred pagodas and temples. 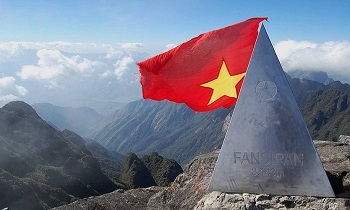 One of these is the Mau Son temple that is one of the most famous spots of religious tourism in Northern Vietnam. 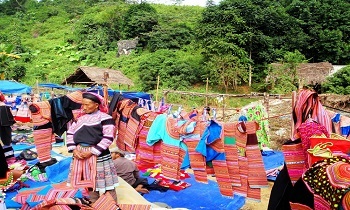 Mau Son temple is always on the list of travelers who like to have an authentic experience in Vietnam’s local culture. 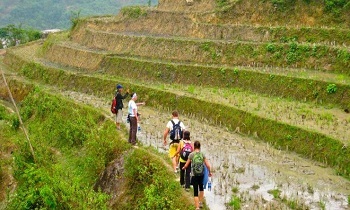 Do not forget to take Sapa tours to get more information about things to know when going to Sapa and where to go in Sapa. Where is the Mau Son temple? 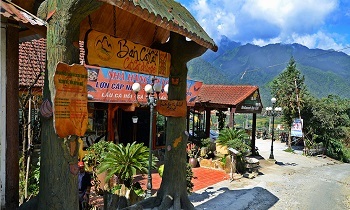 Located on Thach Son Road, Sapa town center, Mau Son temple was built by people living in Le Hoa area (nowadays Bao Thang) in the 18th century. In the beginning, Mau Son was just a small temple at the embankment of Red River and Nam Thi river. Time passed, and after undergoing several reconstructions, Mau Son has an elegant appearance like the present with nine altars. Then the temple was degraded severely. In 2013, the temple was refurbished as well as beautifully renovated so the historical, religious and spiritual values of Mau Son temple may be promoted to the locals as well as visitors coming to Sapa. Nguyen emperor dynasty conferred a title on Mau Son temple three times (in 1853, 1888 and 1924). In 2011, Mau Son temple was recognized as the National Cultural Historical Relic by the Ministry of Sport, Culture, and Tourism. 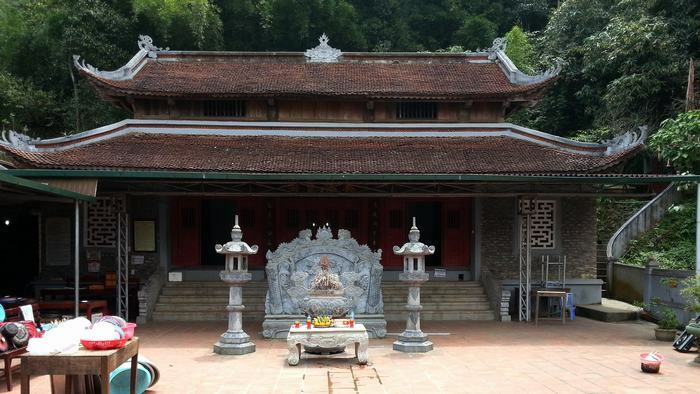 This has proved the crucial role of Mau Son temple on Vietnam cultural and religious map. Mau Son temple is dedicated to the holy Mother Lieu Hanh who are the people for the sake of the nation, the one to help the poor and assist the imperial court in the fight against foreign invaders and protect the sacred boundary of the country. According to legends, this place is the convergence of the sacredness of river and mountain. Since ancient times, this was considered to be the area of sacred forest, poisonous water, wild animals raging, frequently harass people. 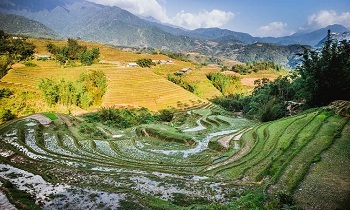 Lieu Hanh often occurred as a rice and water salesman to bless the kind and help the imperial court protect the border that was likely to be threatened by the neighbor dynasty. In memory of the people, the temple was set up in the old position where she usually appeared. Being supposed to be the mother of all Vietnamese people, Lady Lieu Hanh is representative of the essential virtues of Confucianism and is honored as one of the four immortal saints. In the subconscious mind of Vietnamese citizens, Mother Lieu Hanh is always the one who blesses people for a peaceful, happy and prosperous life. 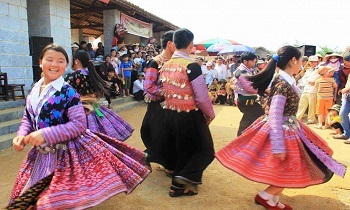 Beside Mau Son, various temples are worshipping Mother Lieu Hanh throughout the country, which shows the critical position of the holy mother, the Eternal God in the spiritual life of Vietnamese people. The intense and pure sense of Mau Son Temple will take you into an entirely different world. Setting foot on Mau Son, you will feel like you are stepping back into the ancient days. In that calm atmosphere, only the serene is available. The incense smoke spread out over the air. When you stand in front of the altar, announce your wish to the lords, let your mind fly into the distant fairyland. A visit to Mau Son temple will surely offer you peace of heart and soul as well as the stillness to get away from all everyday troubles. Time passes to be able to damage everything. Although the country underwent several fierce wars, the original architecture of Mau Son has been still well-preserved. The architectural style of construction of hundreds of years ago is still noticeable at Mau Son Temple. Annually, The Mau Son temple welcomes about 40,000-50,000 visitors. Notably, on holidays, many visitors come to Mau Son to sightsee, make an offering and pray for a new year that is full of good fortune and their expectation to come true. ► Remember to respect the beliefs and practices of the locals because this is considered as a holy site for the critical religious meanings. ► Because every temple or pagoda honors discreetness and politeness, it's necessary to dress politely. You have to cover your shoulder. 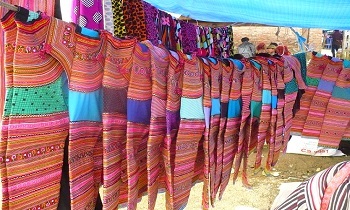 Dresses, short pants or any kinds of indecent costumes are not allowed. ► Noises should be restricted in spiritual places such as temples so try to keep silence as much as possible. If necessary, whisper. Traveling is not just about paying a visit and walking around. It is a process of experiencing and learning the perfect things of the land that you will head to. 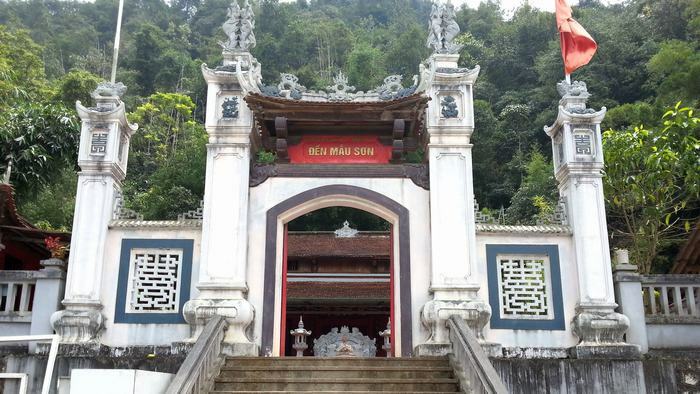 Coming to Mau Son temple, you will take a chance to have a glimpse at the spiritual and religious life of Vietnamese. When arriving in Sapa, Mau Son Temple is one of the most beautiful things that you have to discover.